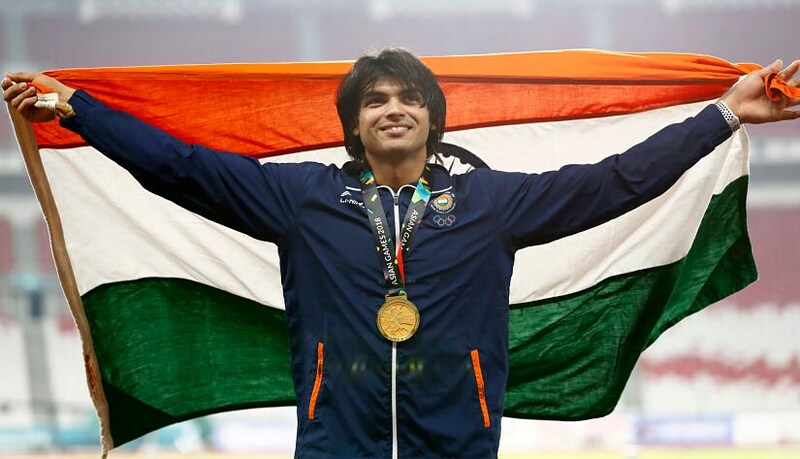 Jakarta: Neeraj Chopra was not always blessed with Bollywood kind of looks with his long mane flowing each time he hurls the spear high and far into the air. There was a time when he was nearly-obese and often teased by his friends. He tipped the scales at 80kg at the age of 11, before he was convinced to train and lose weight. The nearest stadium was the Panipat Stadium, some 15 km from his house. He would go there to jog and exercise. 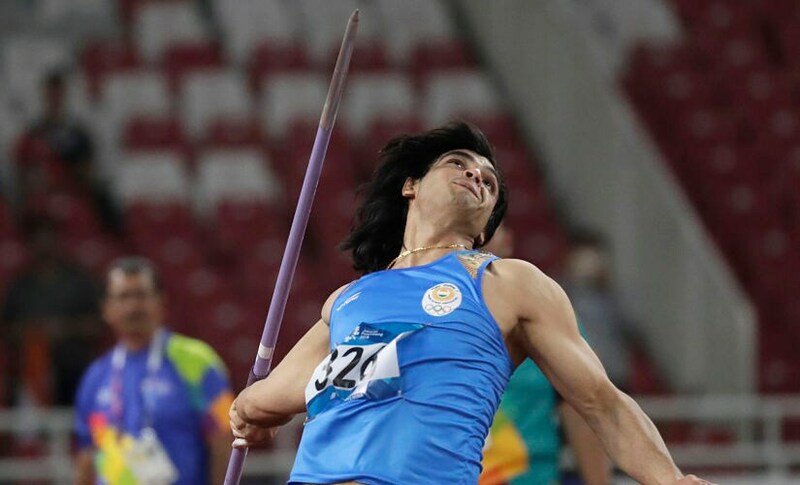 One day he happened to run into a Jaiveer Choudhary, who was a local javelin thrower. Neeraj was asked to throw a few times. Jaiveer was impressed and Neeraj was hooked. The rest is history. Exercises and training followed, though the purpose was still to lose weight. Not only did he lose weight, but also became proficient with his javelin throwing. He had the natural ability to throw the spear in just the manner it was meant to be thrown and as it was done by hunters of the yore. Local and national medals followed, but javelin was far from becoming a part of his life. Until he was picked for India. In the early days, Neeraj was yet to make a mark at international events. In 2013, he went to the World Youth Games in Ukraine but failed to make it to the final. At the 2015 Asian Championships, he was way down in ninth with a modest effort of around 70 metres. The big change for Neeraj and Indian javelin came in 2016 when the Athletics Federation of India brought in Australian Gary Calvert as the javelin coach. In Neeraj, he saw great potential and natural talent. That turned out to be true as the young lad made the world sit up and take notice as he won the gold at the Under-20 World Championships in Poland. He seemed to be a natural for the event. His flexibility and the ability to launch the spear was a treat for the coach, who believed he had found a superstar. He was not wrong. In the weeks leading up to the Rio qualification, Neeraj was trying to get to the qualifying mark of 83 metres, but it was not happening. Then at the U-20 World Championships in Poland, he delivered a perfect throw of 86.48m, which got him the gold and the World junior record. But it did not get him the Rio berth as the deadline for qualifications was over. Calvert, who suddenly passed away in Beijing last month, had at that time said, "He has a superior technique for his age and he applies himself better than most. Now we have to go back to the drawing board and get more power and strength to match the men in the world." On his technique, he added, "He leaves his arm back, keeps it way back and throws his body. That is an exceptional skill. He does it naturally. His arm stays back and body attacks." Rio did not happen, but Neeraj and Calvert were looking at the 2018 Commonwealth Games and Asian Games. And then, the 2020 Olympics. That's when the next change happened – this time not for good. Calvert was having problems with the officials, or so he told us all. He had come on a two-year contract, but now he wanted a longer contract till 2020 and much more money. The two sides could not agree and by April 2017, Calvert left India before his two-year contract ended. Neeraj and other javelin throwers were left without a coach. Without a coach to take a look at him in an event where technique and body posture is so crucial, Neeraj seemed to injure his groin. It affected his natural throwing style. Late last year, German Werner Daniels started coaching him. Werner said that Neeraj needed to get the angle better to get a better distance. Despite that Neeraj was managing good distances. Then, just before the Commonwealth Games, another coach came into Neeraj's life – the third in less than a year. This one was Uwe Hohn, whose massive 104.80m throw (in 1984) prompted officials to change the implement itself in 1986 when the centre of gravity in a javelin was moved forward by four centimetres. That resulted in distances shortening by more than 10 metres. Hohn was with Neeraj at Gold Coast and in Jakarta and hopefully, will be by his side in Tokyo. Last year, while Neeraj was grappling with changes in coaches and injuries, another Asian, Cheng Chaotsun of Taipei, was rising in reputation and performance. At the World University Games in Taipei, Cheng threw 91.36m for a new Asian record. 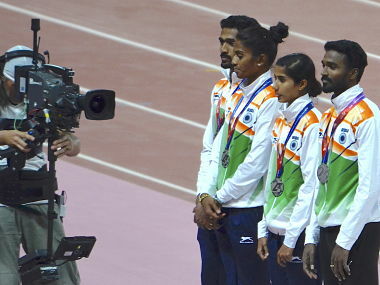 Neeraj was now settling in with his new coach and new goals – he wanted an Asian Games gold and wanted to work more on his technique with his focus on Tokyo 2020. In the meantime, Calvert was training Chinese javelin throwers, one of whom, Liu Qizhen (82.22m) finished second and another Ma Qun (80.46m) finished fourth, while Neeraj (best of 88.06m) went better than Qizhen in each of his four legal throws for the gold medal. 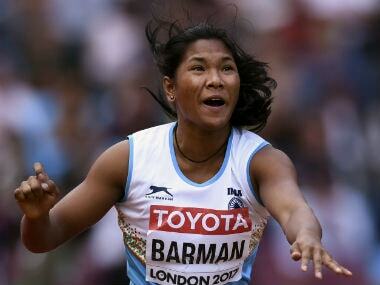 Taipei's Cheng, the Asian record holder, finished fifth. Meanwhile, over the last few months, Calvert had also kept a tab on Neeraj and expressed concern that his technique seemed a little off because of the groin injury which could possibly change his style. Neeraj and Hohn are aware of it. Calvert felt because of the injury, Neeraj's run-in and subsequent opening up before the release of the javelin was fractionally premature. But Neeraj's power was still getting him distances. With better technique, he could easily cross 90-92 metres. Then came the news of Calvert's sudden demise in Beijing following a heart attack late last month. Neeraj was shocked and it even affected him for he always said it was Calvert who saw his potential first at the world level. "I was totally taken back and shocked," said Neeraj. Yet, he picked himself up and Monday's throw was probably a tribute of sorts to Calvert and the work he had won with Neeraj. The man in charge now is Hohn and Neeraj would love nothing more than crossing 90m and someday dream of 100m like his German coach. And, that may prompt another change in the implement just as Hohn's magical throw had done some three decades ago. But for now, the twin gold at Gold Coast and Jakarta will do. The next goal is Tokyo and then, who knows…. distances do have a way of shortening in the long run.